Plastic trees not your thing? Real trees too messy? Yep, I’ve been looking for something a little different as well! 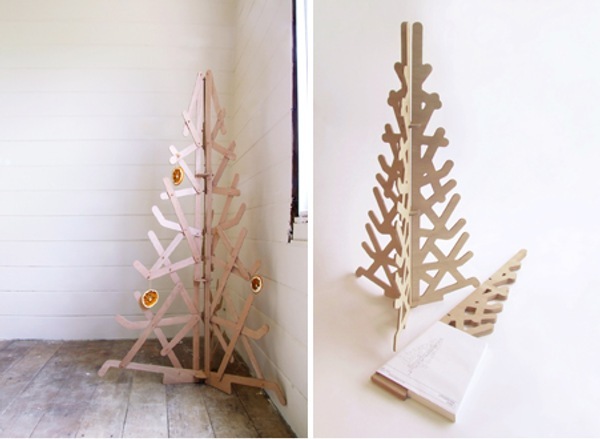 These plywood trees come in two sizes and hail from New Zealand company Raow. For those who find traditional trees a little yawn-worthy, these certainly present a novel alternative. They’re also great for those who want more than one tree. The small size (600mm) is NZ$60 and the medium (1200mm) is $160, from Raow. If you’re in New Zealand, post is free, and for Australian buyers, just make sure you order now.